Two Bulgarian Orthodox Church bishops were shortlisted on March 16 2014 as candidates to be the next Metropolitan of Rousse: Naum of Stob and Tiveriopolski bishop Tihon. The two were chosen out of a field of nine candidates to succeed Neofit, Metropolitan of Rousse from 1994, who was elected Patriarch of the Bulgarian Orthodox Church in February 2013. Naum got 22 votes and Tihon 15 votes. Voting was by three priests and three lay people from each of the four eparchies in the Rousse diocese. Each voter could vote for two candidates. The church’s governing body, the Holy Synod, will met on March 22 to rule on whether the election was held in accordance with church canon law, and on March 23 will decide between the two candidates. Bishop Naum, born in 1968 in Varna, graduated from Sofia University in 1994, having become a novice in 1990 and a monk in 1992. He tutored at a theological college from 1992 to 1996 and in 1997 studied in Greece the spritual life of the Greek Orthodox Church. The same year, he was appointed as a parish priest in the town of Veliki Preslav. In December 1998, the Holy Synod appointed Naum an Archimandrite, and in 2004 appointed him Secretary of the Holy Synod. At the same time, he was appointed chairman of the church board of the Patriarchal Cathedral, St Alexander Nevsky. In March 2007, he was named bishop of Stob at the Alexander Nevsky catheral. Tihon, born in 1945 in Stuttgart in Germany, grew up in Sofia, graduating from the Sofia Seminary and the Theological Academy. In 1979, he emigrated to Germany, and married a Bulgarian woman, a marriage that produced two children. After the couple divorced, he became a novice in the Bulgarian Orthodox Church, being tonsured in Berlin by the-then Metropolitan of Western and Central Europe, Simeon. In 2001, Tihon was ordained an Archmandrite by Metropolitan Neofit of Rousse, and in 2003 was promoted to a bishop’s rank in violation of church law which requires 10 years’ prior service as a monk. He was appointed the vicar of the Western and Central Europe Metropolitan Simeon. At this time, he was also – according to religious news website Dveri – involved in controversy over the appointment of an “archon”. The title “archon” was defunct in the Bulgarian Orthodox Church for centuries but its revival in recent times sparked controversy especially because of the title having been bestowed on wealthy business people of questionable reputation. He acted in the stead of Metropolitan Simeon after the metropolitan became seriously ill in 2009 and in 2010, Tihon was appointed head of the St Alexander Nevsky cathedral in Sofia. The list of those who have been Metropolitan of Rousse is not a long one. The first was elected in 1828 and whoever is chosen by the Holy Synod on March 23 will be the sixth to occupy the post. The past year has seen a number of changes in the leadership of the Bulgarian Orthodox Church. With Patriarch Neofit casting a deciding vote after an even split in the Holy Synod, Bishop Serafim of Melnik was on January 19 2014 elected the Bulgarian Orthodox Church’s new Metropolitan of Nevrokop. Rousse Metropolitan Neofit was elected Patriarch on February 24 2013, succeeding Patriarch Maxim who had died the previous November. In June 2013, Western and Central Europe Metropolitan Simeon resigned on the grounds of ill-health, and Antonii (then 35) was elected to succeed him on October 27. 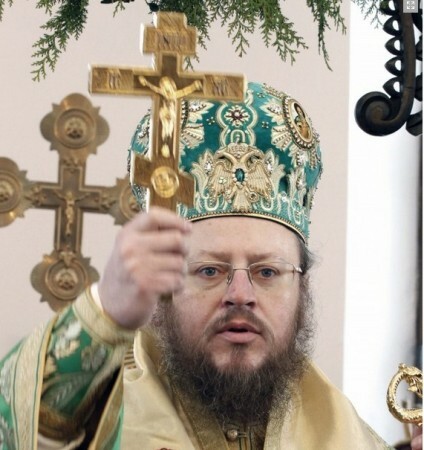 On July 9, Metropolitan Kiril died, with Yoan (44) elected to succeed him in Varna on December 22.